In March 2016, through consultation with our community of volunteers, staff and alumni, SYN realised it was time to move house! The terrace house our offices are in – fondly known as the House of SYN – isn’t disability accessible, our radio studios are 10 minutes away and, frankly, it’s getting a bit small for all the media we wanted to make! So, to continue offering life changing experiences to young people from all backgrounds and abilities, SYN is now working with our long-term partner and landlord, RMIT University, to build and furnish a completely accessible office and studio, with access to a suite of audio, video and performance spaces for SYN volunteers to learn and produce the media that is important to them. This is a HUGE project for SYN and will set up our organisation to thrive in a multi-platform media world, and we want you to know all about it! This blog is a space for you to get all the up to date information on the spaces project. Or, if there’s some info missing, you can ask us anything through the question box on the right side of this page. To start you off, there’s an FAQ post below that answers all of the basic questions you’ll need to know about the move (where, when, how, why etc. ), and we’ll be updating you with posts every single time we get new info to share. It’s a really exciting time to be a member of the SYN community, and we’re here to keep you as up to date as we possibly can, so keep in contact with us; ask questions, tell your mates, hang around and be a part of something BIG! Want to ask a question about SPACES? SYN’s 2016-18 Strategic Plan was written in consultation with our community of volunteers, staff and alumni, and one wish from the great people of SYN came through stronger than any other: we need a new home! SYN is a community media organisation providing broadcast and training opportunities to approximately 5000 young people per year. We know that young people who engage with SYN experience increased confidence, social skills and employability, and the benefits that our volunteers and trainees experience are exactly why we’re now bursting at the seams of our current home on Cardigan St., Carlton. To continue offering life changing experiences to young people from all backgrounds and abilities, SYN is now working with our long-term major partner, RMIT University, to build and furnish a completely accessible office and studio, with access to a suite of audio, video and performance spaces for SYN volunteers to learn and produce the media that is important to them. Where is SYN moving to? RMIT University responded to our ambition for a new home by securing an office and studio space in their New Academic Street (NAS) development on Swanston Street. This commitment from RMIT will see SYN in the middle of a thriving hub of young people with previously unimaginable possibilities for engaging marginalised young people. NAS is right next to a wheelchair accessible tram stop on Swanston St and close to Melbourne Central Station, making SYN more accessible than ever before to young people from all over Melbourne, Victoria and Australia! What’s so good about this new home anyway? In consultation with the SYN community, our Board and management highlighted four priorities for a new space; disability accessibility, at least 4 radio studios and a video studio, an adequate training space and a highly collaborative office space. We knew that if we could find a location with these four elements, we would not only be able to improve our current operations but set up our organisation to thrive in the future. Regular access to RMIT’s auditorium and presentation spaces for SYN volunteer, alumni and community events. That DOES sound good, when is SYN moving? Always a good question with a major infrastructure project as timelines often get stretched when building and designing is involved! Luckily for us, SYN is super keen to move in, as are our co-working space partners (RMITV and Catalyst), and our landlord (RMIT) wants to get us in and settled as possible, so we anticipate moving to NAS in February 2018! What will SYN be like when we’re moved? The successful delivery of this spaces plan will enable SYN to enrich the current work we do with thousands of young people each year, and further open access to SYN for marginalised young people. Community impact, including adding value and voice to their communities, feeling inspired to make change, and understanding different cultures. These are skills that extend beyond the media and the creative industries and prepare SYN volunteers for work, life and contributing to their geographical and social communities. From our new home, SYN will be able to work with even more young people from all backgrounds and abilities and work toward our ambition to be the place for young Australians to learn, create, innovate and share media. Sounds great, but also expensive, how are we paying for this? It’s true, the spaces project is a 1.6 million dollar project. It’s not, like, a *small* amount of money, hey? SYN is lucky to be working with three key funding partners on this project; RMIT University, who are contributing significant funds to the build of the space, Gandel Philanthropy, who have given us a major grant to purchase equipment, and the SYN community, who will be able to contribute to our spaces dream through a fundraiser in late 2017. This is great! How can I help? Well I’m glad you asked! 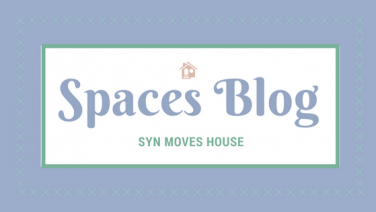 Check back on this blog to keep across all of the updates to the Spaces Project, ask questions via this online form, and spread the word about the move – we want everyone at SYN to know and GET EXCITED about the Space Project, cos it’s gonna be big!